Your Gateway to the Perfect Property. Are you a home buyer or property investor looking for a buyer’s advocate to help you find and purchase the right property? You’ve come to the right place. 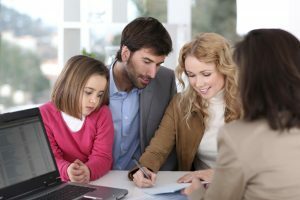 When it comes to looking for your ideal home or investment; few things are as complicated or confusing as finding the right property for your family. We will be with you every step of the way; from start to finish in the buying guide process. The answer for many very happy families is the Buyers Advocate team at Terrilee Whitsed Boutique Realty. Save you time, money, and the emotional rollercoaster when searching and buying a family home on your own. Instead of feeling stressed every minute, we can make the entire experience enjoyable and run as smoothly as possible. We help you strategize by positioning you in the best way possible to secure your next property.